Abebe and her family live in a village in central Ethiopia’s Welega Province. She has two older brothers – Negsa who is ten, and Deblo who is eight – and the love of her wonderful parents! She also has the support of TF’s team of dedicated partners at Yekatit 12 Hospital. 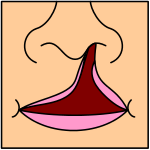 Abebe was born with a unilateral cleft. 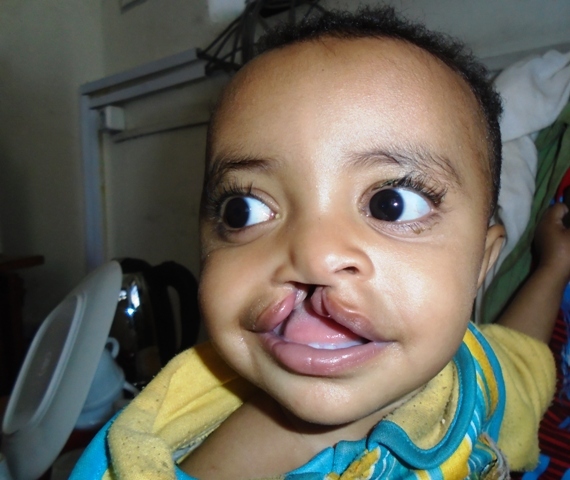 Abebe was born with a unilateral cleft lip and palate – which caused an opening on one side of her mouth and affected her nose, lip and the roof of her mouth. Because of her condition, her family faced challenges in caring for their daughter. The largest obstacle, by far, was feeding their newborn. 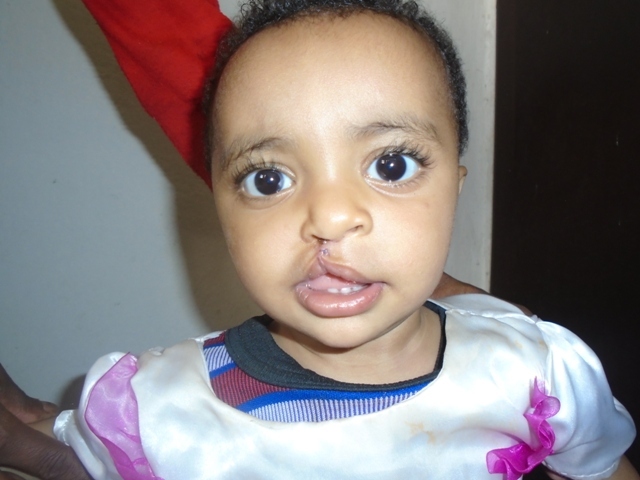 Her cleft made it difficult for Abebe to breastfeed, and as a result she was underweight. Her family also faced an immense financial burden to be able to afford her formula milk – which is very expensive where they live. 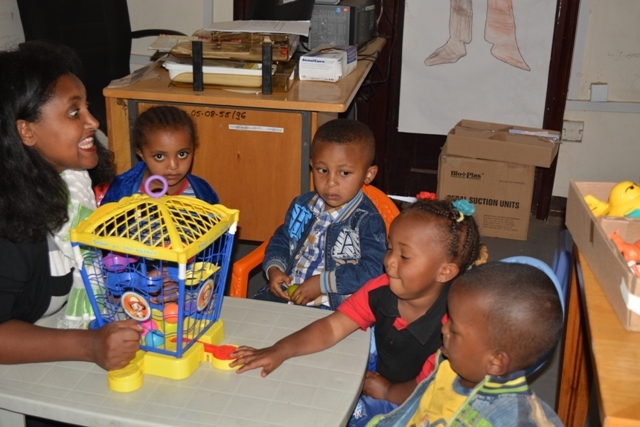 Abebe and her new friends at a group speech therapy session. Yekatit 12 Hospital is located in the capital city of Addis Ababa, about 360km from the family’s home. Despite the distance, her parents are invested in her full, long-term recovery, and they make sure that she arrives for her visits with the cleft care team. The future looks bright for Abebe! Since finding our partner, she has received lip surgery and palate surgery. She’s had access to dental care and an Ear, Nose & Throat Specialist. She is currently receiving speech therapy, and both Abebe and her family have the support of a social worker to help them navigate her rehabilitation. Abebe’s father tells us that he is “happy and thankful” for the care his child is receiving. Thanks to amazing supporters – like you – Abebe and her family can count on continued care from TF partners for years to come!